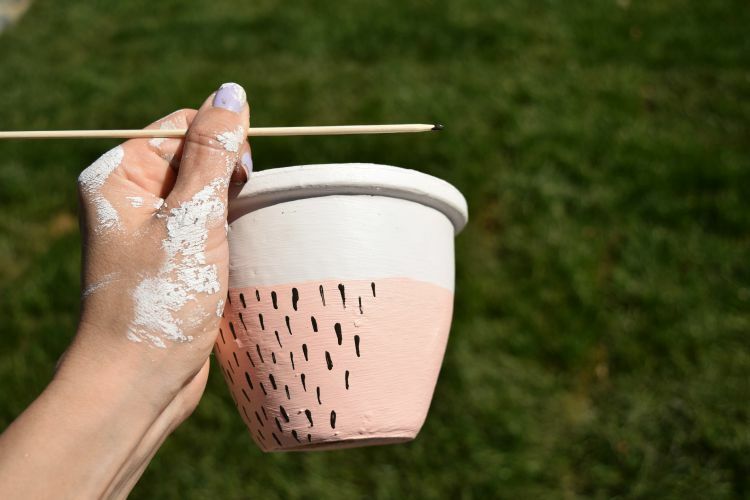 Painting pot plants in various colours and patterns has got to be the easiest and most affordable way to add a splash of colour to your outdoors. And, best of all, you can have fun with different looks because if you change your mind down the track, it’s as easy as repainting them to give them a whole new look! 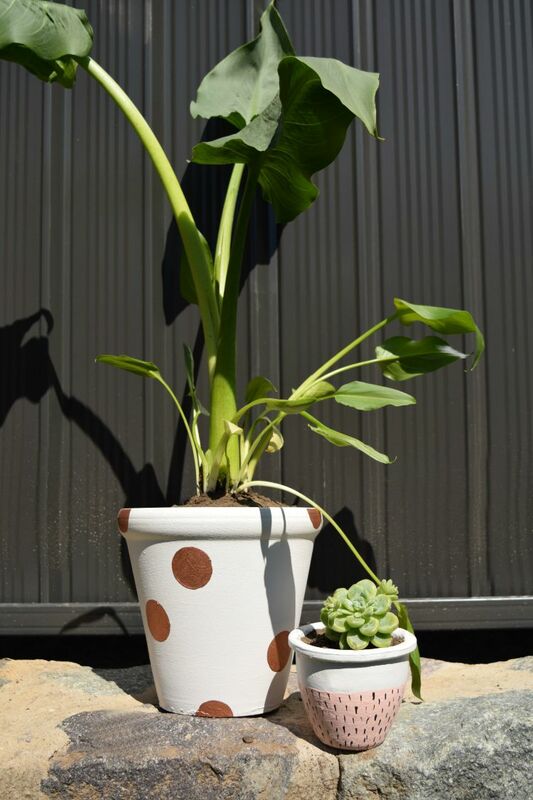 We decided to give our tired terracotta pots a makeover and will show you five different looks that you can try at home. How sweet is this pot plant in Sugared Peach?! We wanted to do a fresh take on the dip-dyed look and added small black dashes to the coloured area by dipping a skewer in Black Pitch paint and drawing short downwards lines. This look is ideal for succulents and cactus and you could use any pop of colour! We have a serious addiction to all things marble… trouble is, it costs a fortune! 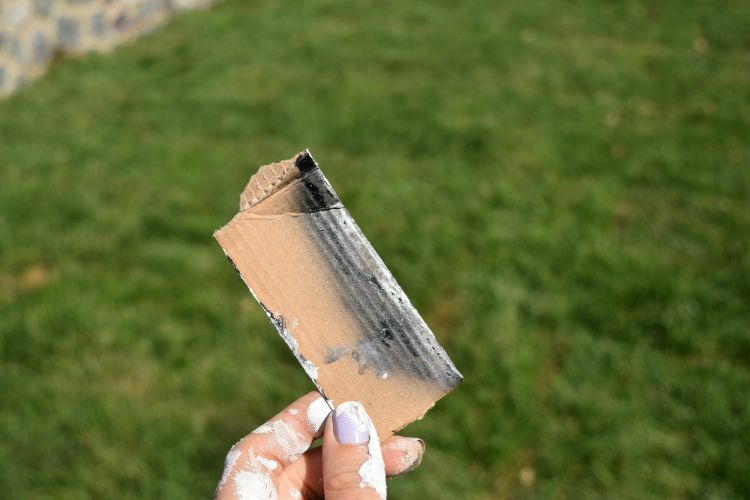 Using a nifty trick with cardboard and black paint, we created this marble look pot plant. 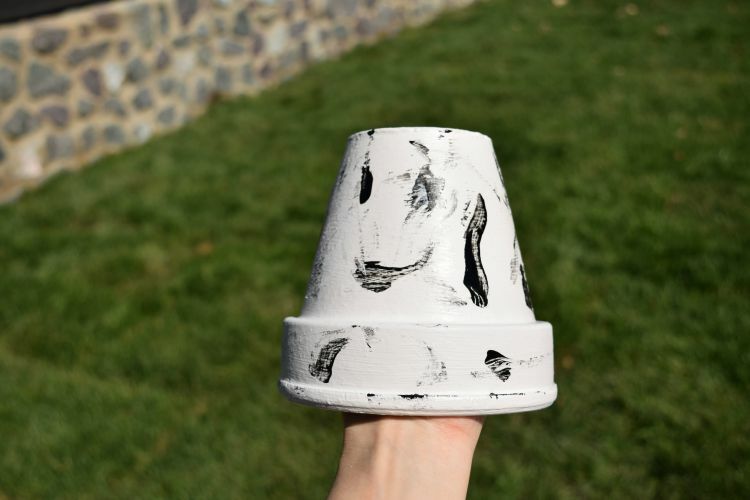 Simply paint your pot plant white (we used Minimalist 2) and while the second coat of paint is still wet, dip the edge of a small piece of cardboard in black paint and add irregular scrapes across the pot. Finish by adding a watered down coat of white to soften the look. Sorbet tones are so hot this Spring! Using our Erie colour, we painted two petal (or scallop) shapes around our pot plant. This style looks great when one petal is larger than the other so feel free to make them different sizes. See the finished look below, it’s the middle pot plant with yellow flowers. Copper continues to trend this Spring and for good reason, it’s just so darn pretty! 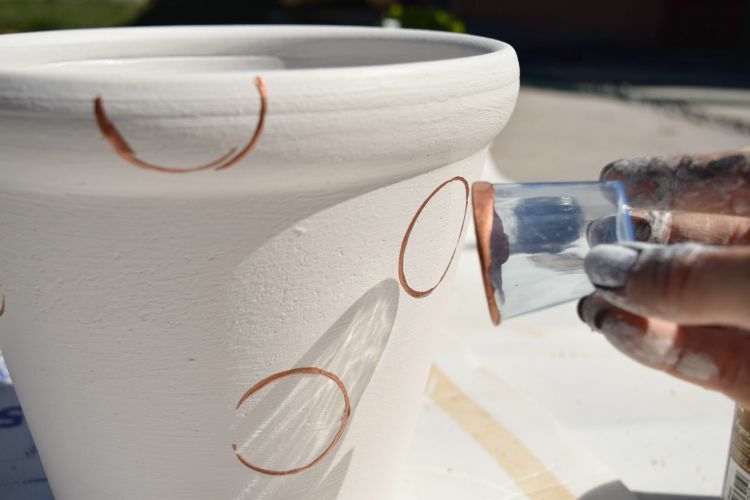 Using a clever little trick of dipping a small plastic cup into copper paint and pressing it onto the pot gives us an outline we can paint in with copper paint. We love this copper paint from Haymes with real copper because it sparkles just like the gorgeous metal! 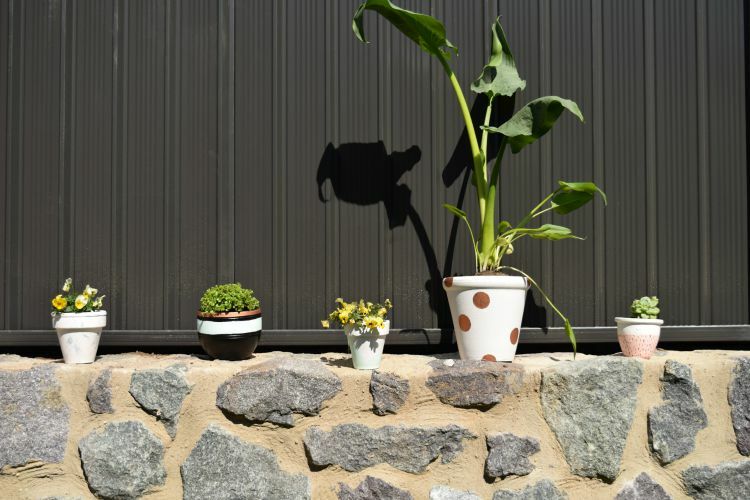 You don’t have to start from a white base to create a colourful pot plant — black can really make your colours pop! 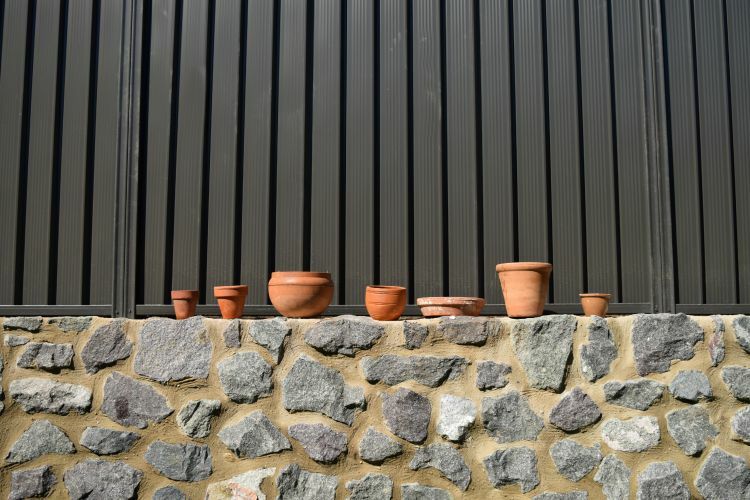 Adding a simple stripe of copper and Erie paint, we created this stylish black pot (second from the left below). 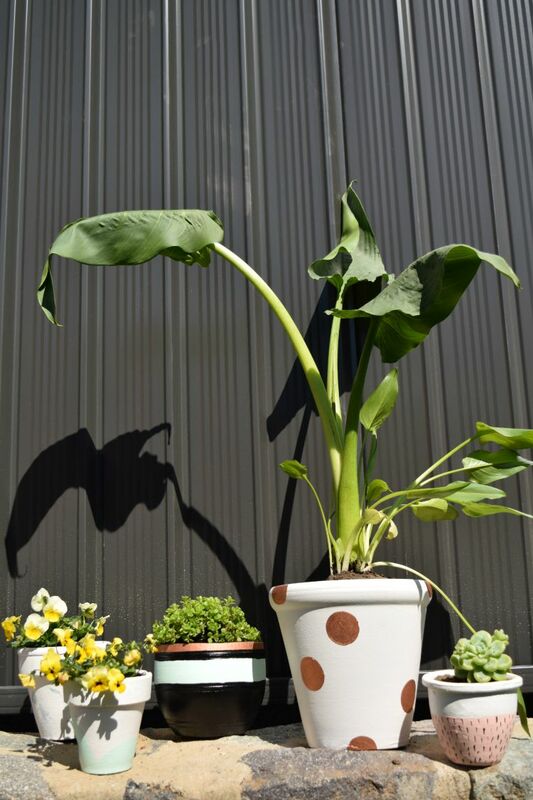 What do you think of our five pot plant looks? Will you try any at home? Tell us in the comments below! Previous articleStyling basics: what to consider when picking colours, shapes and furniture?